While there is, understandably, always a lot of focus on sustainable building design and materials for homes, interior décor, and offices, people who are interested in leading a more eco-friendly lifestyle also long to find ways to keep their backyard additions greener. Read on for some of the coolest sustainable designs you can consider today. If you’re interested in eating your own produce all year round or being able to grow plants that normally don’t thrive in your area, you might want to check out the Copious IO-Agro Smart Greenhouse system system designed by Emerald Kingdom. This computerized greenhouse adds the advances of technology to the benefits of Mother Nature in an outdoor growing structure that features various levels of control, from manual to semi-automatic or even fully automated. Purchase the Smart Greenhouse, and you will be able to control your entire internal growing system. Using a patent-pending design that utilizes a cloud-based mobile application interface, the Smart Greenhouse makes it simple for gardeners to monitor and control their greenhouse environment remotely. The greenhouse comes fully equipped with environmental sensors and actuators which are connected to Emerald Kingdom’s cloud-based control center. This, in turn, gives uses the ability to send data and receive commands which trigger a relevant response in the hardware on-site at your property. You can interact with the system through a dashboard or tablet application. One of the most helpful features of the greenhouse is that it can be set up to be completely automated, whereby interior climate conditions (think light saturation, temperature, and air and soil moisture) are monitored 24 hours a day by the tech. Any kind of small change in conditions will create a series of response automation events, and corrective measures are then taken to ensure optimal plant growing conditions are maintained at all times. If you are keen to add a home office, art space, income-producing studio or other building in your backyard, you could find that the designs of EcoSpace are spot on for your needs. The company creates stylish prefab, customizable studios which can be configured for any time of usage or location. You can choose a simple one-room layout or add in kitchens, bathrooms and other amenities as required. Better yet, the designs are green in almost every way. For example, the EcoSpace buildings are made from sustainably-harvested wood which comes from renewable, certified sources, and other eco-friendly materials are used through the structures and their interiors. The studios can come outfitted with their own pre-built green roof to boost insulation and create some green space, while the low-energy under-floor heating will also keep you toasty in winter without using up a huge amount of energy. The EcoSpaces have thick, multi-layered floors, roofs, and walls which maximize energy efficiency because of their high insulation. Furthermore, renewable-energy options like wind turbines, photovoltaic solar panels, biomass boilers, and ground and air source heat pumps can be integrated into the spaces if you’d like. Note, too, that the company has a focus on the most efficient use of materials possible in their manufacturing, and eliminate waste through recycling. If you’re like most home owners, you likely have a supply of firewood, plus a huge array of gardening and maintenance equipment (e.g. lawn mower, aerator, garden hoses, rakes, secateurs, and brooms) that you don’t want to take up much-needed space in your garage. As such, you probably want to store all of these items in a garden shed. 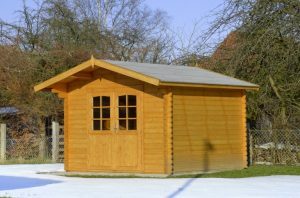 Luckily, companies such as ECO Garden Sheds are coming to the rescue with some sustainable storage solutions which are kinder to the planet than traditional plastic buildings. The ECO Garden Sheds are durable, stylish, and affordable with a focus on quality and design. They are made from all natural wood products sourced only from FSC certified suppliers who take from sustainable forests. No plywood is used in the sheds, and the company works to minimize its carbon footprint in all areas. In addition, the products are insect resistant, naturally resistant to decay, and easy to construct. If you decide to have ECO Garden Sheds put the product together for you, you’ll even enjoy a 10-year warranty. 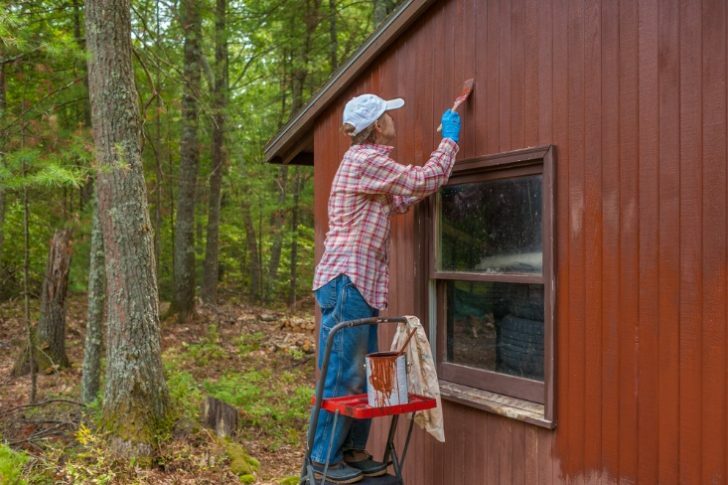 The natural wood color of the sheds can be left as is or painted to match your home or other surroundings as required too. The company has over 20 years of experience in the field, and produces more than 10,000 environmentally safe building each year.